Just in time for the expected unveiling of some new Surface hardware on Tuesday, the current generation of Microsoft Surface devices got an "all clear" from the editors of Consumer Reports. Microsoft's Surface lineup suffered a black eye last August when the nonprofit consumer research agency revoked the "recommended" designation from several Surface devices, including the fifth-generation Surface Pro, the Surface Book in 128GB and 512GB editions, and the Surface Laptop in 128GB and 256GB versions. While Consumer Reports reviewers were generally impressed with the lab performance of the devices at the time, their consumer reliability surveys led the outlet to estimate that 25 percent of Microsoft laptops and tablets would experience problems by the end of the second year of ownership. Survey respondents reported startup issues, unexpected freezing, surprise shutdowns and insufficiently responsive touch screens. 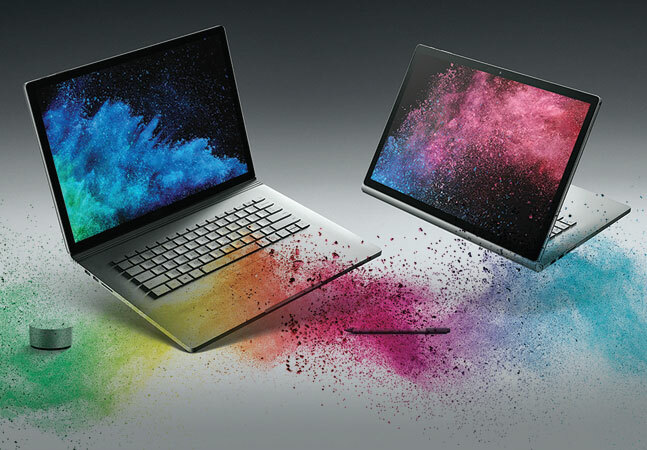 With a new batch of annual surveys in hand, Consumer Reports last Thursday declared the Surface lineup eligible for "recommended" status and restored recommended ratings to the Surface Pro, Surface Book and Surface Laptop. "Microsoft's reliability is now on par with most other laptop brands," said Martin Lachter, senior research associate at Consumer Reports, in a statement. One existing Surface device isn't being recommended, however. The Surface Go is Microsoft's new 10-inch, 2-in-1 detachable that began shipping in August. Consumer Reports tested the $400 model with 64GB of storage and 4GB of memory and the $550 model with 128GB of storage and 8GB of RAM. Neither was recommended for the reason that most 10- and 11-inch laptops struggle in the Consumer Reports testing regimen, which weighs processing power heavily. While Microsoft released a dissenting statement last August when its Surface lineup was removed from the recommended list, the company did not comment on the Surface Go results. Microsoft is expected to have plenty to say about the Surface lineup in New York on Tuesday at 4 p.m. EST, when it's holding a media event. Cryptic invites asked technology journalists only for a "moment of your time." However, observers of Microsoft's consumer hardware are anticipating several Surface, Windows 10 and possibly HoloLens announcements during the event.